I finally made a visit to a restaurant I have been wanting to try for some time now. Golden Beetle is located in the Ballard neighborhood of Seattle. 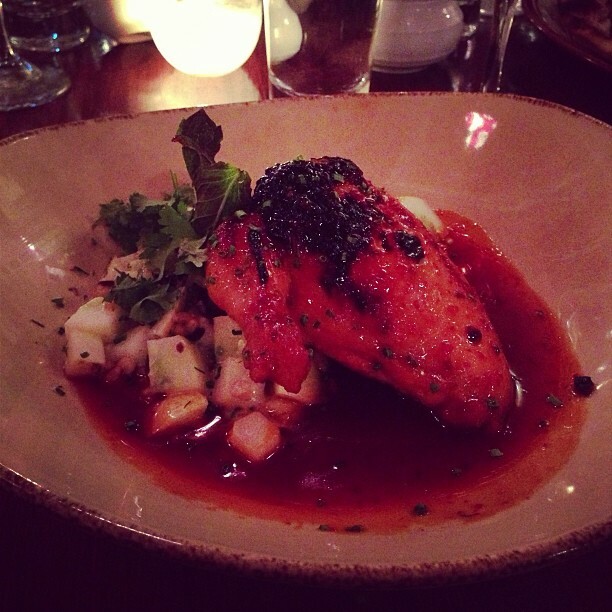 It is owned by Maria Hines who is the winner of the 2009 James Beard Award for Best Chef Northwest. In 2005, she was named one of Food and Wine magazine's 10 Best New Chefs. Maria has competed on "Top Chef Masters" in 2010, and also appeared on Food Network's "Iron Chef America". Maria's first restaurant, Tilth, which opened in 2006, was named one of the top 10 best new restaurants in the country in 2008. Because of all of these great credentials, I had high expectations for my visit to Golden Beetle. I was not disappointed. First off, I loved the décor of Golden Beetle. It has a Mediterranean vibe with a lot of Moroccan-style lights throughout the restaurant. Now for the food. I started with the Summer Greens and Pickled Cherry Salad. The salad was a generous portion of greens with sumac vinaigrette, feta cheese and chopped hazelnuts. This salad had the perfect flavor, and I really enjoyed the pickled cherries, something I had not previously had on a salad. 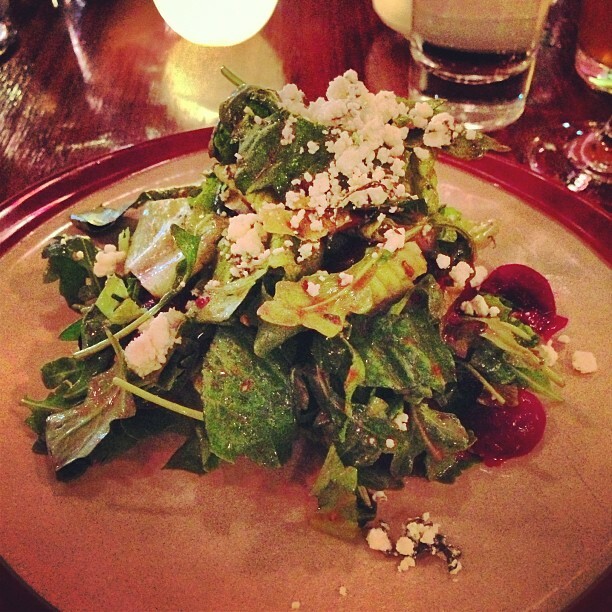 Summer Greens and Pickled Cherry Salad. For the main entrée, I tried the Fire and Honey Chicken. At first I thought this might be too hot for my liking, but I was feeling adventurous. To my surprise, it wasn't all that hot. It had the right amount of heat to make the dish very enjoyable and flavorful. Not to mention that the chicken was cooked perfectly and topped with some Freekah. The chicken came with a side of lemon cucumber and some greens. I would definitely recommend this entrée on your next visit to Golden Beetle. I'm looking forward to my next visit to Golden Beetle. 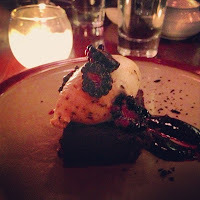 I also want to visit Maria Hines' other two restaurants, Tilth and Agrodolce. Wow no wonder she won so many prizes, those entrees look amazing and delish. There is no doubt that good chefs come from special Seattle restaurants. Thanks for sharing :)!